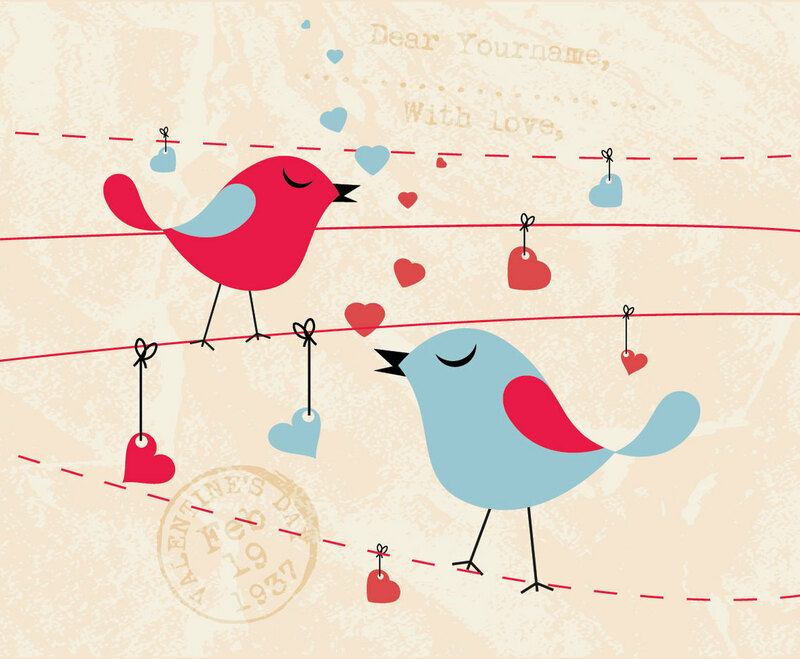 Tweet at your sweetheart the good old-fashioned way: by snail mail! Use these birdies in your next card design. This image is available on Freevector.com thanks to Vintage Vectors Studio.